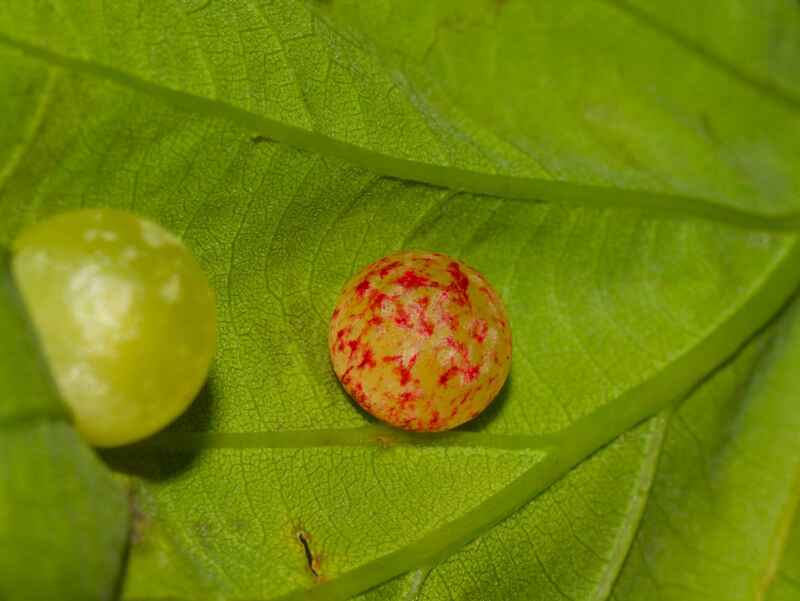 DESCRIPTION: 6mm across with a soft and juicy texture these galls are found on the male catkins or leaves of Oak trees. They are green with a reddish blush. DISTRIBUTION: Common throughout. Late spring to summer HABITAT: Frequent on Oak.